'Prepare to be pleasantly scared' Metro. A hair-raising account of the Borley Rectory haunting, based on real contemporary first-hand testimonies. Now a major ITV drama. Terror awaited me at the most haunted house in England. My name is Sarah Grey. I knew of Harry Price before I became his trusted assistant. He was notorious - London's greatest ghost hunter. Working alongside Harry meant devoting myself to his work, leaving behind my past - and I trusted him. I knew of Borley Rectory, too, before I visited it with Harry - supposedly the most haunted house in England. I knew there was no such thing as phantoms; the many witnesses must be mad, or lying. I knew I could visit Borley Rectory without fear, return without harm. These are the things I thought I knew. I now understand the true meaning of terror. 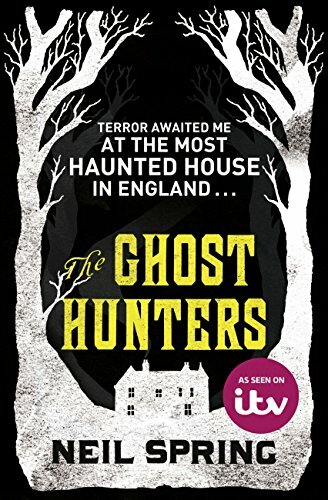 Welcome to Borley Rectory, the most haunted house in England: the year is 1926 and Sarah Grey has landed herself an unlikely new job - personal assistant to Harry Price, London's most infamous ghost hunter. Equal parts brilliant and charming, neurotic and manipulative, Harry has devoted his life to exposing the truth behind England's many 'false hauntings', and never has he left a case unsolved, nor a fraud unexposed. So when Harry and Sarah are invited to Borley Rectory - a house so haunted that objects frequently fly through the air unbidden, and locals avoid the grounds for fear of facing the spectral nun that walks there - they're sure that this case will be just like any other. But when night falls and still no artifice can be found, the ghost hunters are forced to confront an uncomfortable possibility: the ghost of Borley Rectory may be real. And, if so, they're about to make its most intimate acquaintance.